Welcome to your complete guide to the Australian Shepherd Lab mix, also known as the Aussiedor! In this guide, we’ll talk about the differences between the Labrador Retriever and Australian Shepherd. Finding out what you can expect the mix to look and act like. And investigating potential health problems that an Aussiedor may inherit from one or both of its parents. 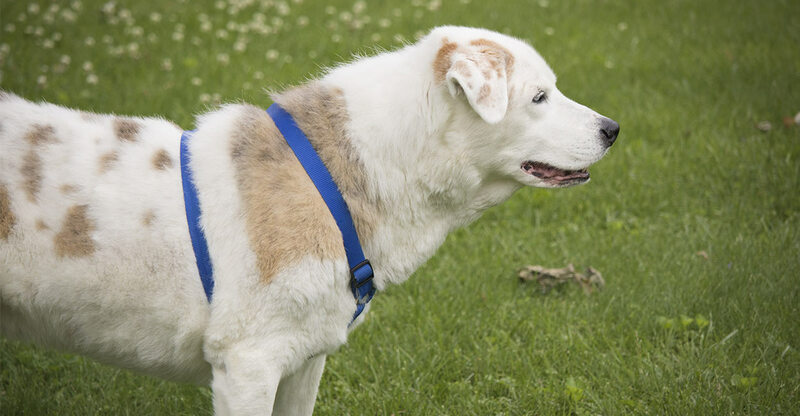 Mixed breeds like the Australian Shepherd Labrador mix are increasingly popular as pets. But did you know that not everyone is happy about that? Let’s begin by briefly addressing the big question that always crops up when we talk about cross bred dogs – the designer dog phenomenon. Because while these mixes might be very appealing to some, there are people who are very worried about the prevalence of the first generation mix. Designer dogs – why the controversy? If you’ve ever hung around on dog related forums or pet social media groups, you will have seen that some people really don’t like designer dogs. There are a few reasons. These can include those to do with maintaining purity of the breeds, health concerns and temperament worries. But are these concerns valid? Purity of the breeds matters to some, but at the end of the day a purebred dog is simply a member of a list. A closed register of similar dogs. At one point in history the list was created, with dogs being mixed much the same as how they are today. In terms of health mixes in reality have a lot going for them. Hybrid vigor is very real, and works against the problems caused by a closed off gene pool. The place where the argument against mixes comes in is regarding appearance and temperament. With a mix you can’t predict the outcome for the puppies like you can with a pedigree dog. But many owners really don’t mind, and when it comes to a mix you simply need to know that either parent could have more of an influence on the puppy than the other. And you won’t know until they are with you how that balance will turn out. 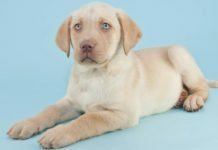 So let’s take a look at the Australian Shepherd Lab mix – what possible outcomes are there for this particular cross bred pup? What is an Australian Shepherd Lab mix? An Australian Shepherd Lab mix is exactly what it sounds like – is a hybrid dog breed that results from crossing a purebred Australian Shepherd with a purebred Labrador Retriever. In a nutshell, the Aussiedor is a working dog that may exhibit strong herding and/or retrieving tendencies. The first generation of the mix has a tendency to be a high-shedding and very high-energy dog that may be a bit mouthy. This is due to the Lab’s retrieving lineage and the Australian Shepherd’s sheep-dog lineage. However, that doesn’t mean that Aussidors aren’t suitable as family pets! In this article we’ll take a look at what you can expect from an Australian shepherd Lab mix, and whether it might be a suitable new pet for you. Where did the Lab and Australian Shepherd come from? Understanding a mixed breed dog’s parent breeds can help predict what a hybrid puppy will look and act like. So, let’s take a look at origins of the Labrador Retriever and the Australian Shepherd breeds! The Labrador Retriever was bred in Newfoundland, Canada. The Lab’s earliest ancestors were small-sized dogs that were trained to retrieve water fowl. These retrievers were later mixed with Newfoundlands to produce the classic Lab that we recognize today. Labs eventually made it to the United States and were accepted into the American Kennel Club (AKC) registry as a member of the sporting group in 1917. Today, Labradors are not only used as hunting partners, but they are also popular service dogs. When they’re not used as working dogs, Labradors are found in many a household across the world – they are the most popular registered dog breed, after all! Contrary to its name, the Australian Shepherd was not actually bred in Australia. Rather, Aussies descend from sheep-herding dogs that are believed to have originated in the Pyrenees Mountains which Spain and France. However, the Australian Shepherd that we know today was refined in the United States. While its initial role was that of a herding dog, the Australian Shepherd rose in popularity in the post-World War II United States. At that time, westerns and horseback riding were very popular, and the star of the show was none other than the Australian Shepherd! Today, Australian Shepherds are still used for herding in some areas, but many of them are beloved “farm dogs”. They accompany their owners on trail rides or farmers who are working crops. They are also popular family pets, especially for people with small children and good-sized yards that allow games of fetch and chase! So, how does a hunting and herding heritage impact the Australian Shepherd Labrador mix? 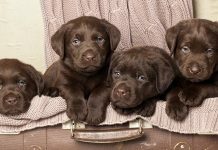 When it comes to temperament, a chocolate Lab and Australian Shepherd mix is most likely going to be a handful for novice owners. The Labrador and Australian Shepherd are “busy body” breeds that thrive on work. If they won’t be working, then lots of play and training will be necessary to keep them from getting into trouble. Knowing whether an Aussiedor will act more like a Labrador (possibly a bit jumpy and prone to following her nose) or an Australian Shepherd (very jumpy and possibly prone to nipping at heels) is a coin toss. With all hybrid dogs, especially when you’re dealing with a first-generation mix, you cannot predict with accuracy which parent the hybrid puppies will look and act like or if they will display a mix of characteristics. You can make an educated guess, then wait and see what happens when the puppies are born. 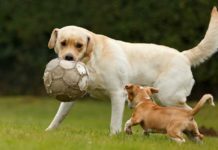 Whereas both Labradors and Australian Shepherds are high-energy dogs that were bred to work, their temperaments aren’t 100% similar. Due to their strong herding and thus guarding instincts, some Australian Shepherds can be protective of their families. This may make them shy or a little bit aggressive around strangers. Socializing an Aussie from a young age may reduce the chances of their guarding instinct from showing up later. Conversely, Labrador Retrievers are usually NOT shy or reserved with strangers or other dogs (although a few individuals may be so). They are generally very smiley and happy dogs that love anyone who will give them attention. However, thanks to their urge to work and run and go-go-go, Aussies are typically very good with children. We do recommend that you supervise a new puppy or dog (of any breed) interacting with children though. An Aussie will want to be by your side all day long, if they possibly could, so this is not a dog that you just leave alone for hours at a time. Labs are the same, so this is a trait your puppy will probably have. Your pup cannot be kept crated or locked up for more than a couple of hours each day. They are highly social dogs that do best with homes where there is someone around for much of the day. Either breed, and therefore the mix, can become quite destructive if they’re anxious and distressed! 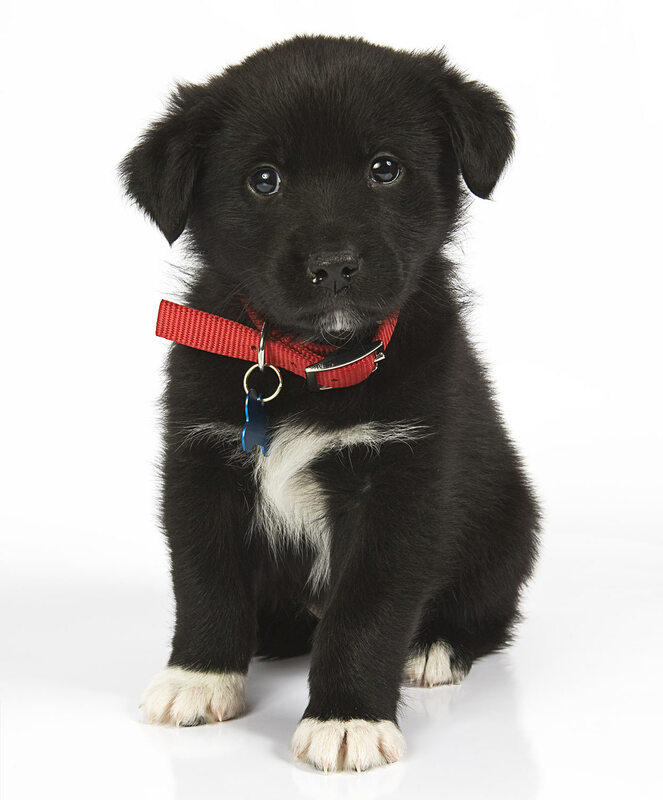 An Australian Shepherd Lab mix will enjoy going for walks, runs, bike rides, and swims. They will require really good “come” training and/or a fenced-in yard, as their powerful sniffer is likely to lead them astray! However, if your Aussiedor has English Lab in him, then he may not inherit as strong of a hunting instinct. English Labs are shorter-legged and less energetic than the classic “American” Labrador. How big will an Australian Shepherd Labrador Retriever mix get? A black Lab and Australian Shepherd mix will be a medium-sized dog. Australian Shepherds are typically 18-23 inches tall, and Labs are a little taller ranging up to 24.5 inches at the shoulder. Your mix could fall anywhere on this spectrum. Depending on which parent an Australian Shepherd Lab mix may be solid-colored like their Lab or solid-colored Aussie parent. They may bicolored or tricolored with white, blue or red merle, and tan points. If you are going to be selecting an Aussiedor puppy from a breeder, and you have your eye on a beautiful blue or red merle, be sure that the breeder does not use breeding stock that have the “Silv” or “double merle” gene. Merle is a distinctive pattern which has dark and dilute patches of pigment. Australian Shepherds who possess the “Silv” or “double merle” gene generally have abnormally developed eyes and are born blind and/or deaf. Merles that only have one copy of this gene are not born with this defect. Therefore, it’s wise to only purchase puppies from a breeder who does not breed dogs with the double merle gene. An Aussiedor may inherit its Labrador parent’s short double-coat or its Aussie parent’s thick and medium-length double-coat. The Lab’s short double-coat requires weekly grooming and more during shedding season. However, an Aussie double-coat will require a good bit more maintenance. You might consider using a slicker brush to prevent the coat from tangling, to get rid of dead hair, and to remove whatever debris that your pup picks up during the work or play day. Regardless of which parent they look like, an Australian Shepherd Labrador mix pup will shed a lot, and even more so during shedding season. This dog will need weekly brushing at minimum; an Aussiedor with an Aussie-type coat might benefit from regular trips to the groomer to keep his fur from matting. 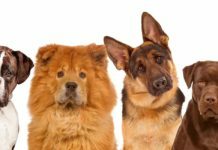 Just like purebred dogs, hybrid dogs may also develop certain conditions based on their genetics. It’s just as important that both parents are tested for their relevant health issues as it is for a pedigree dog. Both Australian Shepherds and Labrador Retrievers are prone to hip or elbow dysplasia and cataracts. Make sure they both have good hip and elbow scores and a recent vet check. The Lab parent should also be PRA clear. Otherwise known as hypothyroidism, Autoimmune thyroiditis is caused when there’s a lack of the thyroid hormone in your dog’s body. You’ll need to give your pup a pill to replace the hormone that’s not being secreted in order to prevent such symptoms as dry skin, hair loss, presence of skin diseases, weight gain, and behavioral issues. Lymphoma is unfortunately common in Australian Shepherd dogs. Your veterinarian may recommend that you get your dog’s blood tested at least annually to determine their blood cell count and whether or not lymphoma is suspected. According to a 2011 study published by the Journal of Veterinary Medicine, idiopathic (primary) epilepsy is commonly inherited in the Australian Shepherd breed. The condition usually presents within the first few months of the puppy’s life, and requires medication for life to control seizures. The multi-drug resistance-1 (MDR1) genetic mutation prevents the dog’s body from removing certain drugs from the brain, and is common in sheepherding breeds. Dogs with the MDR1 mutation should not be given certain antibiotics, anti-cancer drugs, anti-diarrheal drugs, dewormers, pain medications, or tranquilizers. As we’ve emphasized throughout this article, the Australian Shepherd Lab mix is not a lap dog breed. They need lots of interaction and play time in order to be happy and both physically and mentally healthy. If you’re not prepared to handle a high-energy dog, then an Aussiedor is definitely not for you! These guys will do best with a fenced-in yard for play time, but they will truly thrive on a farm or larger property that will give them a job to do. They truly are people-pleasers who will love being your best mate or farm hand! How long will a Labrador and Australian Shepherd mix live? The average Lab lifespan is 12.5 years and the average Australian Shepherd lifespan is 9 years. In general mixed breeds live a little longer, so you could reasonably hope for your Aussiedor to have a life expectancy nearer the12.5 year end of this spectrum. Where can I buy Lab and Australian Shepherd mix puppies? As a mixed breed, the Australian Shepherd Labrador may be a little hard to come by. Especially when you wish to purchase a puppy from a responsible breeder who uses genetic testing. 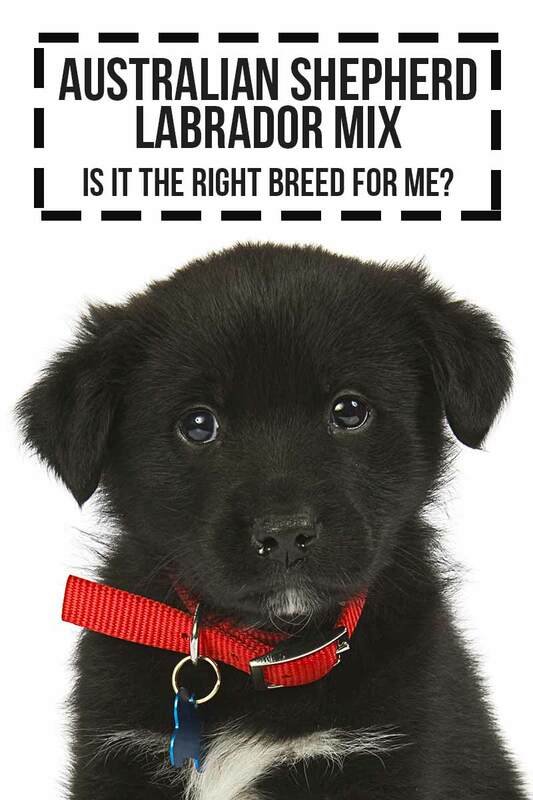 So, where are Labrador x Australian Shepherd puppies available? 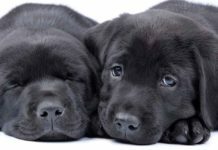 If you’d like a black Lab Australian Shepherd mix puppy from a breeder, then chances are that you’ll pay a couple hundred dollars for one, but the exact amount that you pay may also vary based on the parent stock, how much they are worth to the breeder, and the number of puppies available. If a mature Australian Shepherd Lab mix is more your speed, then you may have luck finding one at a local animal shelter or humane society. But as they are a rare mix, you might need to be patient. Australian Shepherd Labrador Retriever mixes are special dogs that need the right home in order to thrive. They are certainly not the right dog for anyone who cannot work or play the energy out of this big ball of “go”! Since both parent breeds tend to be anxious about being left alone or cooped up, your pup won’t be suited to a home where the adults work away. You’ll need a fenced in yard an to hone that recall from a young age. Although Labs are normally friendly, due to the mix you’ll need to dedicate yourself to a lot of socialization to be on the safe side. Additionally, an Aussie Lab mix will surely shed a lot and may require more than a weekly grooming if she inherits her Aussie parent’s long, thick, and easily tangled coat. There a couple of potentially severe health problems that could arise, including elbow/hip dysplasia, cataracts, congenital blindness, lymphoma, and hypothyroidism, to name a few. Fortunately, genetic testing can reduce improve your odds in this respect. If you can keep up with these wonderful working partners, then an Australian Shepherd Lab mix may make the perfect dog for you. Weisll et al. “Disease Progression and Treatment Response of Idiopathic Epilepsy in Australian Shepherd Dogs”, Journal of Veterinary Medicine, 2011. O’Neill et al 2013. Longevity and mortality of owned dogs in England. The Veterinary Journal.